Cunard Line’s Queen Mary 2 is the world’s only ocean liner providing regularly scheduled crossings between New York and Southampton. Since 2003, the 2961-passenger ship has carried cruise travelers back and forth across the Atlantic, much as Cunard Line has done for 175 years. When time came for periodic dry dock maintenance on the line’s flagship, Cunard chose to do more than replace carpets, beds and slap on a fresh coat of paint. It was a project so extensive that the word ‘remodeling’ was not quite the most accurate term for the extensive effort. Queen Mary 2 remastered has brought a fresh look, updated accommodations, public venues and more. The end result of the remastering project looks to be to a relevant cruise option that should appeal to a far broader audience of cruise traveler. Those who dig deep into what makes cruise lines tick go to extremes when their interest aligns with any given brand. Turning back our cruise history clock to a time when we sailed with kids, Carnival Cruise Line was a perfect fit. We could not get enough of anything Carnival to help feed our obsession. Taking a break from family cruising, we sailed Queen Mary 2 from New York to Southampton during her inaugural year. At the time, we came away with a number of impressions that seemed to hold true for the next decade or so. For all practical purposes, every night is formal night. This was at a time when formal was much more formal on other lines as well. Just a few years after the blockbuster film Titanic had made it’s debut, it was no hard to imagine the scene after sailing Queen Mary 2, probably the closest onboard experience to that depicted in the 1997 film available today. Sailing mostly to the Caribbean and Mexico previously, six days at sea between New York and Southampton was an entirely different experience. It was bitterly cold on deck in the open seas of the Atlantic. Cunard Line has the most fabulous pillow mints on the planet. 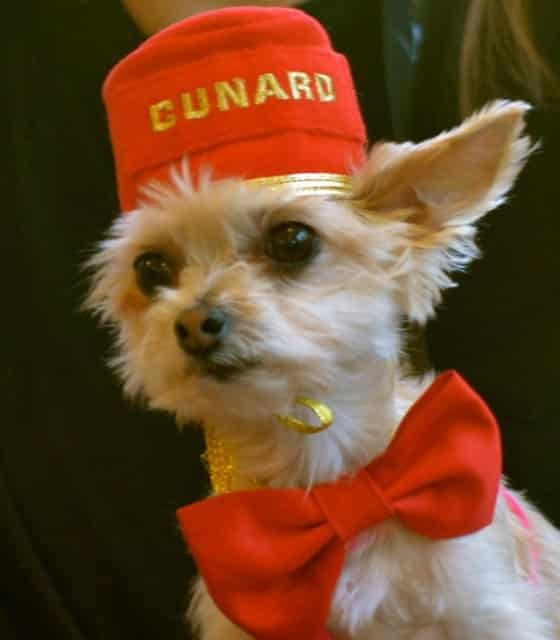 We could have brought our dog along as Cunard Line has a few kennels just for that purpose. Vueve Cliquot would from that point on be our champagne of choice. Queen Mary 2 remastered brings a ship that still has those elements which resonated with us at the time but has made them better. Stop right there and we could call that project a win. But the forward thinking people at Cunard Line took a different approach. 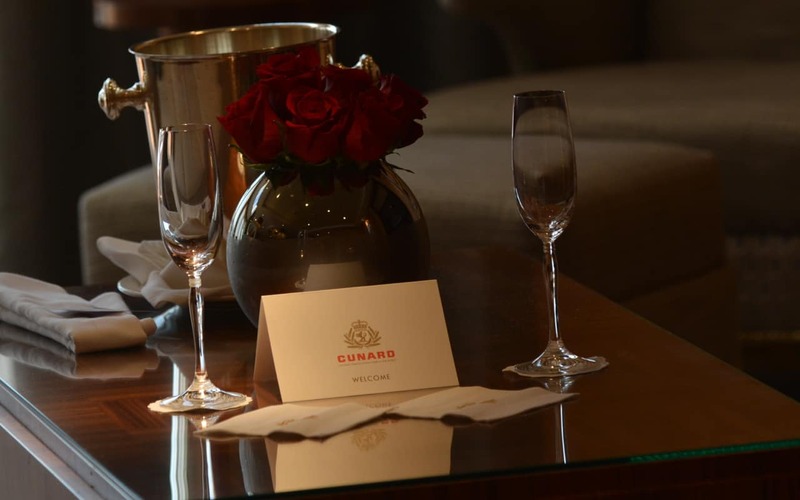 In addition to fine tuning the core experience that keeps Cunard fans coming back for more, new and appropriate features were added. New Kennels- We could still bring our dog along on the cruise and now she would have more friends to talk to with a dozen new kennels added as part of the Queen Mary 2 remastering project. New Solo Staterooms- One would expect these to be small spaces, sized just big enough for one person. The finished spaces proved to be nicely sized like “We could have two people in here easy”. Top Level Queens Grill and Princess Grill suites on Queen Mary 2 were reworked as were their associated exclusive restaurants adding more tables for two and more space between tables in addition to a new menu. Is Queen Mary 2 Remastered a good fit for any true fan of cruise travel? Quite frankly, no. This is not a ship or cruise line that a vast number of cruise travelers would enjoy. New additions open that net a bit more but this is still very much a line and onboard experience that will most commonly be a special occasion sailing. Retracing our heritage, we may find that our ancestors came to the new world on a Cunard ship. Those who do not want to fly to Europe can transform the hassle and worry of travel by air into a jet lag free way to get there or back. And then there are the puppies.